You are constantly looking for new customers. Be sure you take full advantage of the valuable resource of past customers for new leads. Those customers you spent so much time and effort attracting in the first place have a very strong opinion of your company based on their history with you. By focusing on providing them with an exceptional customer experience, you have begun laying the foundation for a long-term relationship with them and positioned your company in an ideal marketing position. Past customer marketing is not a new concept. You should already have customer retention and reactivation in your marketing budget. Once you have connected with a consumer, you must devote appropriate time and attention to maintaining an emotional bond with them. If not, the relationship will stagnate and they are likely to be lured away by a competitor. If you maintain that bond, you have the opportunity to engage them in bringing new customers to your business. Many companies have alienated their current customer base by providing all the incentives to first-time customers. Doing that creates negative word-of-mouth and ensures all customers will abandon your company at their first opportunity. It is important to stay current with the latest technology and be mindful of marketing trends. But, customer data, mobile access, social media, and website content are only important when they help to enhance your customers’ experiences with your brand. These days, people share their good and bad experiences instantly and passionately. 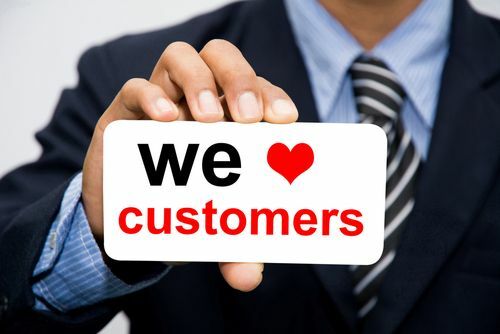 A happy customer is rewarding for your business. Ask for reviews. More and more people base their buying decisions on a quick glance at reviews from past customers. In addition to covering the basics, be creative with your past customer marketing. Even if they do not respond right away, keep your brand at the front of their mind so it will be easier for them to recall when someone asks for their recommendation. Consider putting an enterprise marketing system in place to ensure maximum efficiency, consistency in your message and outreach, and brand protection.